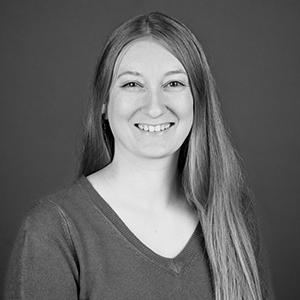 Adria Kremer is an architectural designer and Revit lead with Mackenzie's high tech team. Her creation and maintenance of Revit families helps her team produce a more efficient, coordinated model. At her previous employer in Cincinnati, SHP Leading Design, she helped with the construction documents for six new public schools and a renovation of a large public high school. Adria was a member of Mackenzie's 2013 Dragon Boat team as well as the Summer Picnic planning committee. "Great design is holistic, inclusive, and responsible. It produces a space that meets the needs of its community, invites others into that community, and contributes to the environmental health of that community." an advocate for The Nature Conservancy. Hyalite Lake in Bozeman, Montana. A beautiful and tranquil piece of nature just a few minutes outside of town. doing what you love to the best of your abilities and sharing that with your family and friends.